Green Bag Lady: Leftover FREEBIE! Remember this freebie? Where we gave away all the leftovers from previous freebies that no one claimed? Well, once again, Bagette Dad has a pile of items that no one bothered to claim. We have lots of fun stuff up for grabs! Whew! That's a lot of prizes! TWENTY people will win items from this freebie. WOW! How cool is that? Would you like a shot at one of these great prizes?? We will randomly pick 20 lucky people to win prizes from this freebie. REMINDER, we will only ship fabric stacks to USA and CANADA residents only. We will ship bags anywhere. We will ship shopping bags internationally. You MUST use English for your comments. Do the best you can. Non-English comments will be removed. 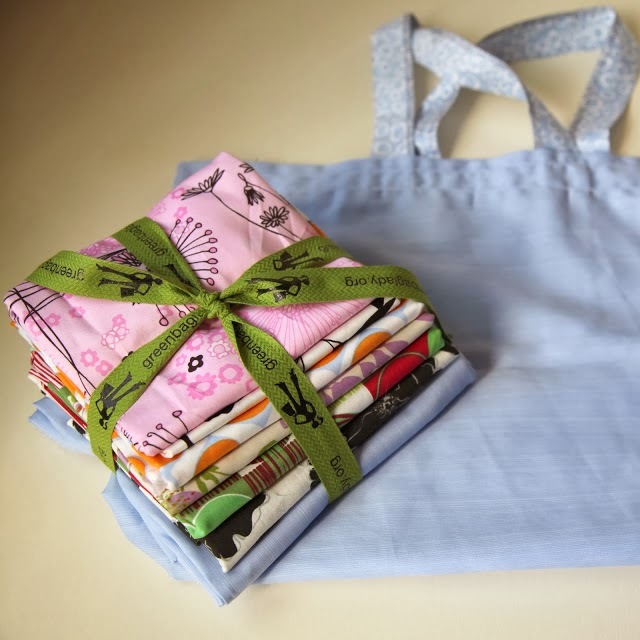 I would love to win and use one of your art organic cotton bags. Yay, I am so happy to have found you! Freebies are so exciting!!! I would love to win one of your beautiful bags!!!!! Hi there! I recently gave away one of my bags to a friend who had a baby. I put a bunch of diapers my baby had outgrown in the bag, and said "you can keep the bag!" She loved it! Now I'm eyeing that elephant bag you have left to gift another gift to someone else. These make great gifts!!! 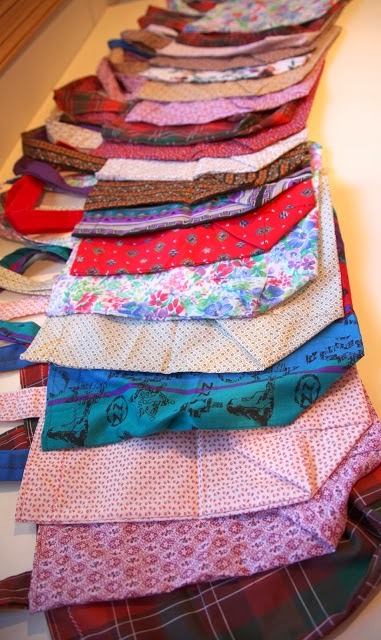 I would LOVE that stack of fabric, too :) Thanks for all your work! 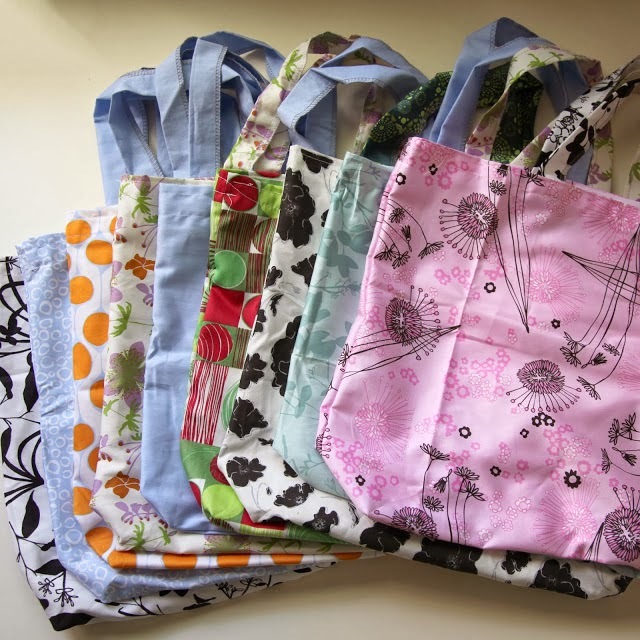 I'd love one to contribute towards my New Years Resolution, no more plastic bags! Only green bags allowed, otherwise I carry out my stuff in my hands! I did it back in 2010 and was proud Togo 12 month no plastic! To get your bag would be a nice surprise! Great, beautiful bag! Thanks for the chance to win! Wow! Thank you Teresa and Bagette Dad for a chance to win you a great bag. Well, that there are such people. Hello Teresa, They're so cute! Great, beautiful bag! Any bag would be amazing. I would love to win one of your beautiful bags! Hello Teresa, They're so cute! Beautiful bags! Thanks for the chance to win! I have never won your bag. But I want to have one! Good luck. Hello!I am here for the first time. But I very love these bags! Hello! Long dreamed of such a bag. I will be happy if I win. I hope this time I get lucky! Teresa! You charge me with optimism and love of work! Hello Teresa, thank you for this chance! 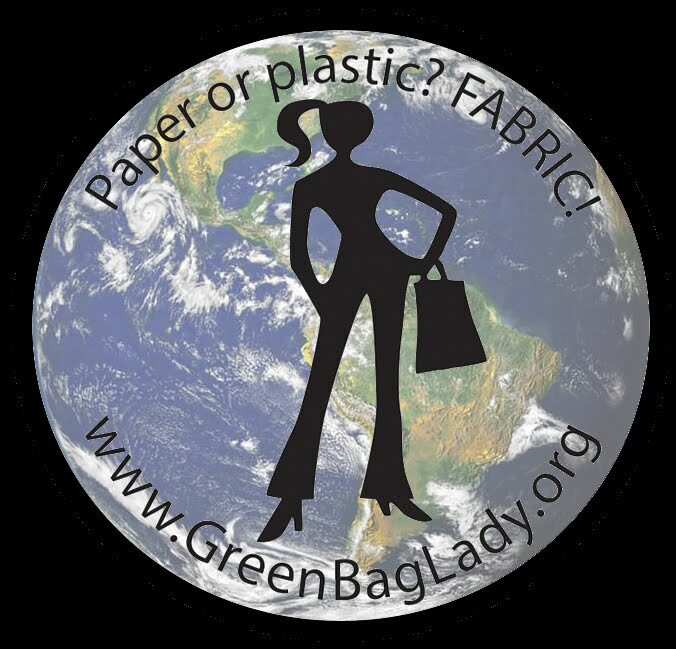 I am against polyethylene, so I want to get your bag! I am happy to see you in 2014 )) Best wishes to all you who make this worl less plustic! I'd love to winn this freebie! Thank you. Would love to win another. Pleanty of people to pass them along too! I always get so many complements. Teresa! Thanks for the chance to win such a necessary thing! I would love to win one of your beautiful bags!!!!! Thank you very much!!! Elena B.
I would love to give one of those pretty little orphans a home. I'm so exited, your bags are gorgeous! Hello Green bag Lady!! I WANT that elephant bag soooo badly!!! 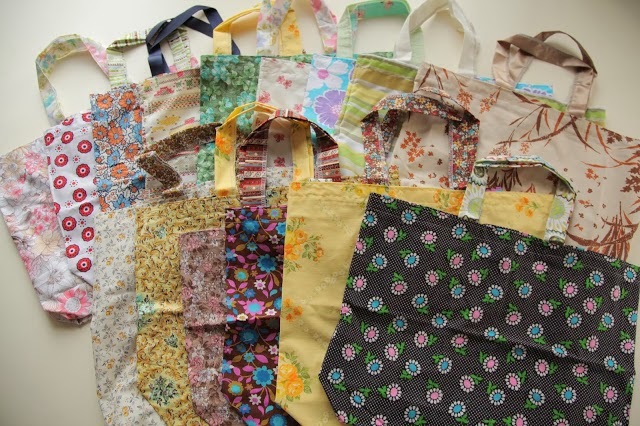 I use your bag every day, and I am preparing fabric bags to give to my friends as presents, because plastics bags are not allowed in my town, so we really use them. Please I need another one!!!! Ooh I'd love to create with the fabric stack! My moms been asking where I get my bags too - time to share! Thank you for the chance to win one of your bags. Wow, so many great items left behind. How could you NOT claim that fabric bundle? What is wrong with people!? Over 25K bags?! WOW - I love my green bags to reuse over and over. There are some stores where I must be very fast with the "I have my own bag" comment as they are so fast with the plastic. Thank you Teresa for your work!I hope to get lucky! What a shame that people didn't claim their bags, still their loss is everyone else's gain. Thanks for another fabulous giveaway. OMG! How awesome. Yes please!!! Oooh, another chance at Harmony Art fabric! I am IN! Woot! Hello, my name is Yulia and I very want to get bags from Teresa! What you are doing is very important to preserve the environment! I will be glad to win a bag! Oh my that is a lot of left overs. I love using your bags. I save a little plastic and paper and I get comments and direct them to your site in the hopes of helping others go cloth. One person's oversight is another's lucky day! Thanks for trying again. Hello Teresa. I really want to win this bag! Wow, I can't believe there are so many unclaimed bags!! I would love to give one of them a home. One of the Harmony Art organic cotton bags is calling me to the rescue ! Oh, I very much want your bag! I will be very happy if I get it from you! Thank you for your work! You are a big fellow! This comment moved here by admin. Hi! Really want such a beautiful bag! I see some people this and I love it! Hopefully I will have this bag! and in my town no one has such a great bag!. Hopefully, I'll be the first! I love your harmony art bags! Would love to win an unclaimed bag. I would like to win a wonderful bag. Thank you. A bag or fabric! or a regift from Bagette Dad! thanks for all you do! We are in our late 60's and just bought our first camper!! Oh, how we would love bagette dad's bag and mitts!! If not available, I would take a vintage one. Thank you!!! Sharon Lozano slozano5 at earthlink dot net. Hello. I am so glad I found you through a post on Facebook. 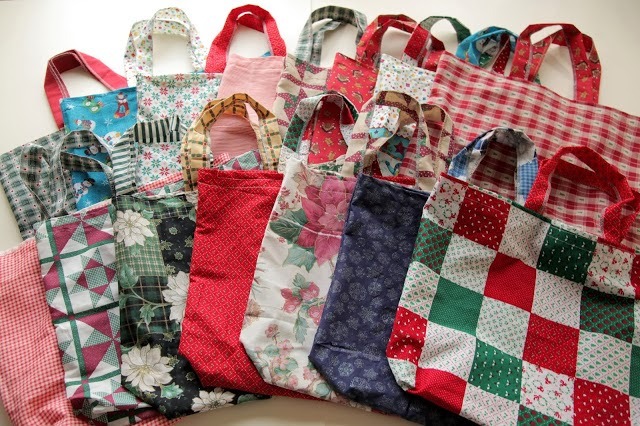 I love cloth bags and they are so eco-friendly. The fact they can be washed and used over and over just makes sense to me. No plastic, thank you! I would love to win any one of your bags. My eye spied that bag and fabric stack, those would make more fabric bags - double win. I can't imagine how they miss the e-mail. So sorry for those that missed, but happy for 2o people that are going to get a bag. I have just received one of your lovely vintage bags in the mail- its unfortunate that some of your winners did not claim their prizes as the bag is lovely. Thank you for your generosity... I use mine as a school bag most days. Yay! I love your bags! Thank you so much! I love to get one. Lovely bags! Thank you for your concern about the nature! That is a lot of leftovers! Leftovers? I looove leftovers! lol Especially meatloaf. :D And leftover totebags look awesome too. Thanks again for the giveaway. I would sure love to be included in your leftover giveaway! Could sure use another bag or fabric! Thanks for the chance to win! I love, love, love your bags! Love Green Bag Lady! Had a polka dot before and love it! They are very cute and lovely! Esliya win, I'll give your favorite mom! Teresa you are wonderful woman! It is a shame so many didn't respond when they won! As always, another great give away! and thanks for all that you do! Thanks for the opportunity! 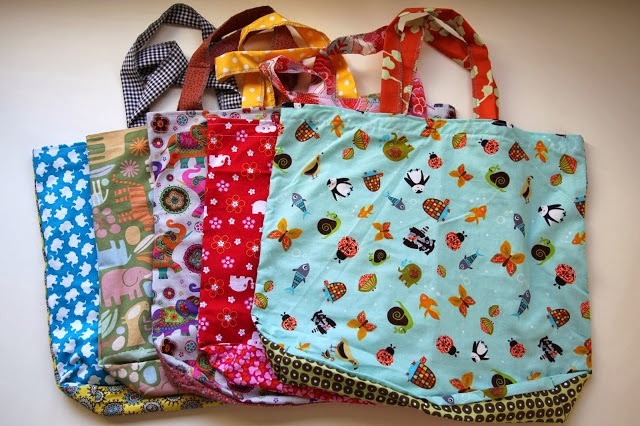 The fabric pack or elephant bag (actually all the bags) look wonderful! Karenncrafts (at) gmail (dot) com. I would love to share the elephant bag with my mother, if I were to win! She has a collection of elephants, not real of course. This is great, so kind of you to spread the love. Even though I found this blog after the competition ended, I love the idea and will check back to enter.